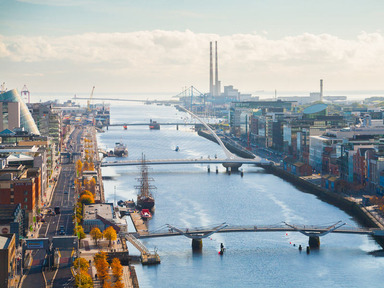 Forbes magazine listed Dublin as one of the top 7 cities in the world to start a business. As Zenith Ideas' business success continues to soar, the direct marketing firm outlines why Dublin is the best city to start a business. Zenith Ideas has had a high demand for its services and has continued to thrive since opening earlier this year. To start their investigation into why they believe Dublin is the best city to start a business in, the firm looked into what key areas start-ups need to thrive. Zenith Ideas highlights that start-ups must be able to easily access information about what's happening and available in the area that's relevant to start-ups. Also, while most people who start businesses are experts in their own industry, they may lack the fundamental business knowledge, skills and expertise to get them off the ground. It is crucial they can find this information in both offline and online education. Start-ups need the best possible facilities and services to help them start-up, points out Zenith Ideas. Dublin has to be able to provide the necessary facilities to entice, encourage and support start-ups, and make sure that the correct platforms are in place to give them the best possible chance of long term success. Start-ups need a strong network of peers who can support, encourage and mentor them. Zenith Ideas highlights that networks provide more benefits and much more value than support from friends outside of the industry. Support networks can provide business owners with the opportunity to learn, grow and access new sales opportunities. A city must have the correct platforms and financial supports and structures in place. They must be easily accessible to the people looking to start a business says Zenith Ideas. The firm believe that Dublin does have all of these basic needs and structures in place for start-ups and business owners as well as many other areas which make Dublin a great place to start a business. Entrepreneurship is now taught in schools which instils an entrepreneurial mindset into the entire city and means that networking opportunities are huge. As well as this, Forbes magazine listed Dublin as one of the top 7 cities in the world to start a business for reasons such as: being English speaking, having excellent hardware, being cheaper than the UK, having business friendly policies, having a low corporation tax rate and having numerous European headquarters of companies including: LinkedIn, Facebook, Twitter and Google. On top of this there are plenty of initiatives already in place for start-ups including enterprise centres, facilities, education centres and programs, networks, events, awards and online forums which are all based in Dublin. Dublin also has strong financial schemes in place to help start-ups which includes supports such as grants, corporation tax of 12.5%, seed funding, incentive schemes and tax relief. Zenith Ideas is an outsourced sales and marketing firm based in the heart of Dublin. The firm work on behalf of their clients to improve customer acquisition, customer retention and brand awareness. The firm have received a high demand for their personalised, face-to-face marketing campaigns and attribute their success to both their hard work, and operating in Dublin. Zenith Ideas believes that the positive attitude towards entrepreneurship and positive start-up culture in the city has allowed the firm to exceed expectations and expand quickly.